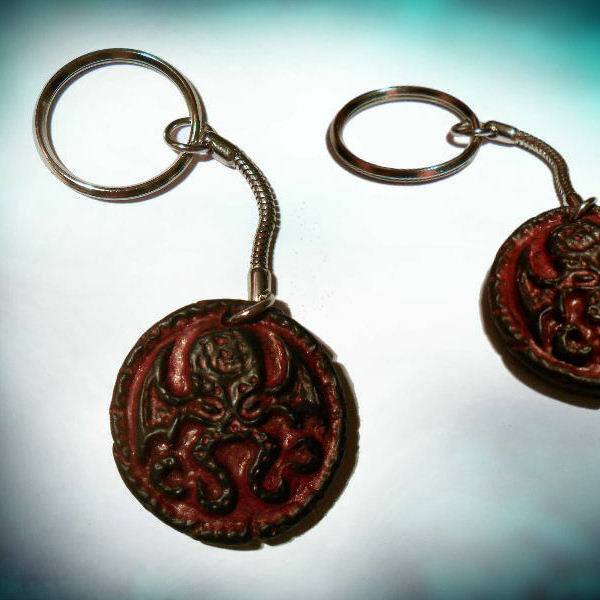 Cthulhu head medallion style keyring in black and red. Cast from my own original design using durable epoxy clay. Hand finished and painted. Inspired by the writings of HP Lovecraft.